Whether or not there is an actual “talent shortage” in the labor market, it’s obvious that many CFOs are not ecstatic about the personnel that currently make up their finance and accounting teams. Clearly, there are companies building world-class finance and accounting departments, however, which means some executive teams are just better than others at recruiting, hiring, and retaining the best people. How can a company improve in those areas? The five CFO stories below offer some sage advice on the topic. All but the smallest accounting firms are tightly focused on finding and keeping talent. Read more. Corporate finance executives rate few of their direct reports as effective in the behaviors and skills that drive the finance function to excellent performance. See the story. Executive sponsorship is integral to the success of advanced analytics initiatives and to obtaining the talent to execute those initiatives, says a Verizon Wireless executive. CFOs are in a position to take on that role. Read the story. Don’t rely on your human resources counterparts to fill the talent gaps you see within your finance function. Instead, work closely with HR to ensure they understand the skills you need, so that the recruiting, hiring, and training processes can be better-tailored to finding talent with these desirable traits. The best performers do orders of magnitude better than the average, but how do you get them to work for your company? See the story. 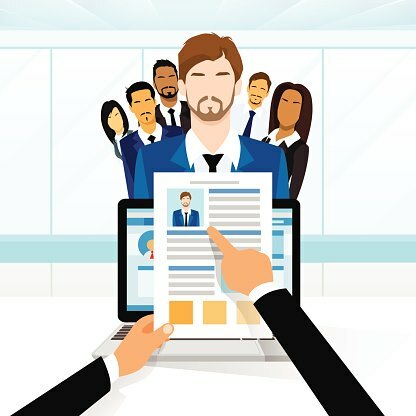 Companies fail at recruiting because they don’t want applicants to know anything about the organization that’s less than perfect, says Wharton professor Peter Cappelli. More. Unless you look beyond the qualifications like MBA CPA, CFP, CFA etc or any finance/accounting degrees, one can not tap in the talent or natural abilities for finance or accounting, and find the correct people….Also keep in mind that everyone has Plus and minus points…so nobody is 100 % correct, we just need to know how to manage ourselves, how to manage others and finally how to manage business.